Although the concept of agri-food chain is frequently used, the Food System, in contrast, is a multivariate, transversal, complex and articulated system. Economics, policies, availability and accessibility, knowledge, behavior and culture are the vectors of this fractal system. This book is the result of the work of more than forty authors who have sent us their comments and thoughts on many other topics. Each and every one of the chapters in the book has the same solid thread, a defined identity and, at the same time, have very different characteristics and aspects. One of the constants in all of them is the availability of food, together with the concern for food security, understood precisely as the possibility of providing food products, but also related to the problem of the economic accessibility of the citizens. They elect their leaders and expect them not only to organize subsistence and food creation, but also to develop an effective policy to ensure sustainability for the protection of the environment…; That is, they convey their worry and hope at the same time. 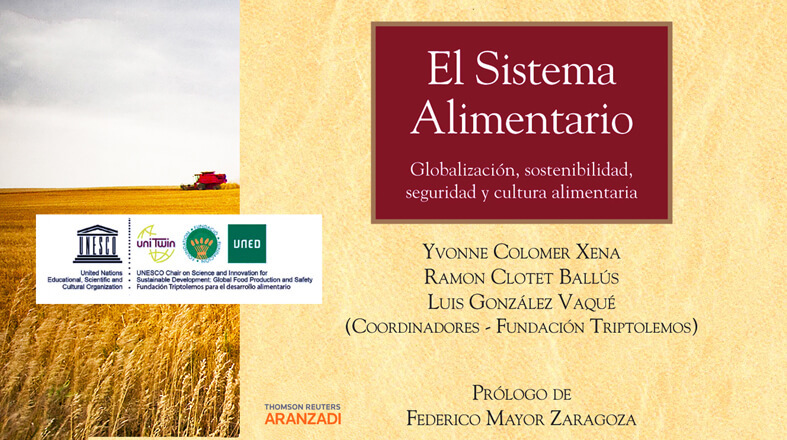 In this volume we have focused on the presentation of the multiple characteristics of the Food System with the intention of making society aware of the need and obligation for a balanced future survival, to create a confluence between them until they become a single expression, and clearly show that a complex problem has been solved.